Today’s Wednesday Writer is posted a little later than I would like, as I have been home sick (insert sympathetic noises here). Fortunately, it is well worth the wait! Deborah Biancotti is one of the most exciting voices in Aussie Spec Fic, and whose writing is gaining more and more recognition both here and abroad. As most of my readers (and anyone who has been forced to listen to me talk at length about the subject) would know, I am a huge fan of anything superhero, and my ears perked up at the rave reviews of Deb’s super hero book Bad Power (MAKE SURE YOU CHECK IT OUT!). After that, how could I not invite her to Wedensday Writers? In this fabulous post, she talks about the influences from her childhood that still speak in her writing, something I can certainly identify with. I recently realised that George Orwell was right. * Oh, and (sic) on the whole ‘he’ and ‘his’ thing. But that most of all, I realised – while watching M*A*S*H from the beginning this year with a willing friend – that I have no new themes. Rather, what I have is an exploration of themes with a proven longevity. What was important to me at age nine is still important, and what I keep finding in the world or putting out into the world are simply the variations on what was established for me then. Everything important to me now is in part important because it has been important for so long. If you see what I mean. And so, herewithin, please find a list of some of the most cogent themes of M*A*S*H as they appear in my head. My hippy parents might have instilled my anti-authoritarian streak, but M*A*S*H cemented it. M*A*S*H celebrated the outsider, adored the slouching smart-arse and revered the practical joker. M*A*S*H made ‘power’ look like another word for ‘corrupt’. M*A*S*H implied that any human organisation was bound for failure. Largely because it relied on humans. “You think you’re real smart. But you’re not smart; you’re dumb. Very dumb. But you’ve met your match in me.” – Colonel Samuel Flagg, Army Intelligence or CIA/CIC/CID, depending; occasionally code named ‘Queen Victoria’. M*A*S*H taught me a lot about friendship and loyalty. It also taught me about clannishness and individuality. It taught me to foster those things, as a matter of fact, because there’ll be times when that’s all you have. The army changes its rules often enough that you will be caught if you try to rely on those rules. The army rules are absurd, anyhow, & you’d be a fool to rely on them. But if you try, you can hold onto your sense of humour in the face of the madness. And you can survive. Maybe not win, but winning is not the purpose. Of course, when it comes to life, nobody gets out alive, and the bitter-sweetness of this kind of lesson was something else M*A*S*H excelled at. M*A*S*H ran for 11 seasons not counting the original movie of the same name (which is uncannily horrific to watch if you were a fan of the show first). It lasted eight years longer than the Korean War itself, which it attempted to document. This is a harsher lesson than the one on absurdism, above. M*A*S*H taught that it’s crazy to try to be sane, but that there’s something sublime in the attempt. To lose is inevitable, but not to try is to … quit. M*A*S*H, of course, borrowed this theme from Joseph Heller’s CATCH-22 (which was nearly called CATCH-18 at the time, did you know that? ), along with Hawkeye’s red dressing gown, which was a staple in Heller’s book. Failure, then, is more respectable than quitting. “In my short stay here, I’ve seen textbook examples of neuroses, psychoses, voyeurism, fetishism, and a few ‘isms’ I’ve never even heard of. The people here are mad, quite mad, all of them. They are impossible people in an impossible place doing impossible work.” – An observer at the M*A*S*H 4077th unit. Some of the lessons I learned from M*A*S*H were detrimental to my ability to fit in with groups of people. Like, people with no sense of humour. I have always distrusted those people. Unfortunately, several of those people run institutions I’ve been involved in, willingly or otherwise. Let me just say, of all the lessons I learned in the lap of M*A*S*H, this was the most misleading. That said, the expertise of such characters as Hawkeye, Trapper and B.J. must have been truly mighty. Because those guys would’ve been jerks to work with. My favourite M*A*S*H moments are the moments between the under-utilised Major Margaret ‘Hotlips’ Houlihan and Captain Benjamin Franklin Pierce. The Lady & the Tramp, I call these two. When they’re called to the front or when they’re forced to operate on a soldier in an evacuated camp, they rally together in spite of vast moral differences. This is a favourite teaching of M*A*S*H, that despite the bickering and belligerence, the accusations and recriminations, we can all come together when we need each other. M*A*S*H is a lot like family that way. Note that moral righteousness is largely the preserve of women in the pretend-fifties. Still, it doesn’t mean women are bad at it. Just means nobody else wanted the job. Note that in S01E01, the friend who had volunteered to watch all 11 years of M*A*S*H with me, commented, “It’s a bad sign when the only black actor in the show is called Spearchucker.” He was wrong, of course. There was another black actor. Her name was Ginger & she had barely any lines. Also: Spearchucker disappeared not many episodes later. Also: my friend was ignoring the entry of a white female character called Nurse Dish, whose role in the show was to be available to be auctioned off in order to raise funds for the education of the Korean ‘house boy’ … oh, let’s stop there. Okay, so in fact M*A*S*H won’t win any modern awards for addressing issues of racism, although it sure did try. It tried the way us white people try. Which is to say, we assume we know the issues & then we feel kinda good about trying to address those issues in ways that are, well, frankly, occasionally patronising & exclusionary. Actors of colour are rarely seen unless they’re there to Make a Point (like when ‘Larry Fishburne’, so credited, arrives to deliver somewhat less than 5 lines of dialogue about his commander, who has a habit of sending the black soldiers into the most dangerous situations). The most positive spin we can give this theme – given that my supple young mind didn’t register the racism & sexism at the time, & took away only the positive ideas of what the show was *trying* to achieve, in its flawed way – is that there’s evil & it’s worth uniting against evil, regardless of race, colour or creed. When we feel like it. Someone once told me M*A*S*H glorified war. If I may be permitted to quote Colonel Potter: horse hockey! The theme of M*A*S*H is not war, it is what people do in the face of war, in the face of chaos and injustice. Because that’s what the fictional Korean war of M*A*S*H really is. It’s not being fought in any kind of recognisable, real Korea. It’s Babel. The army might bomb you, starve you, hobble you, and appal you. But if you can ridicule them, you still win. MASH taught that the last thing you should ever surrender is yourself. I love sublimation, it is my favourite Freudian invention*. M*A*S*H was working the idea that the toughest messages can be delivered through comedy from its early days, although it grew into more of a political vehicle later on. M*A*S*H, through its ‘theatre of war’, was examining the very issues of humanity: what does it mean, to be human? What is a human? And, why? These questions form the basis of so much fiction writing. And, I would assert, they comprise the single most crucial underpinning in speculative fiction. M*A*S*H exists in my memory as one of my earliest passions. And to remember it, I had clearly put aside all the racism & sexism of the early seventies and held onto only one message: that humanity, in the face of untold evil, is awesome. I learned respect for the thwarted expressions of a captive humanity and contempt for worthless authority. I learned the power of loyalty. I learned about injustice and the aching need of life to live, unauthorised and undaunted. This is why I think I can write about the themes of M*A*S*H with such conviction. They’re my themes. I’ve been living them for thirty years. 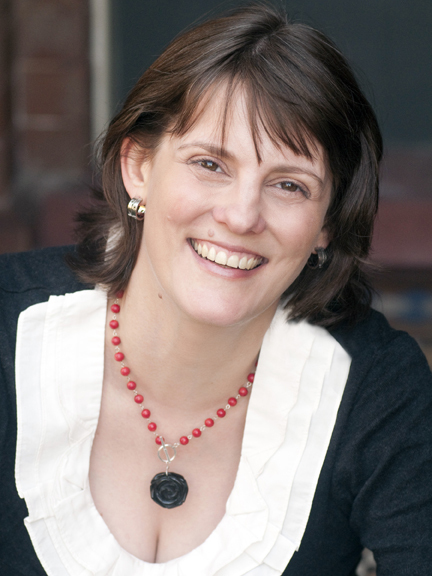 Deborah Biancotti is a Sydney-based author with an anti-authoritarian streak. Her books, BAD POWER and A BOOK OF ENDINGS, are available from Twelfth Planet Press. This entry was posted in Pop Culture, Writing and tagged Deborah Biancotti, M*A*S*H, writing on October 17, 2012 by David. Is it wrong that I hear the actors voices when I read those quotes 🙂 Thanks Deb and David a wonderful piece.